The very best of Verrado. 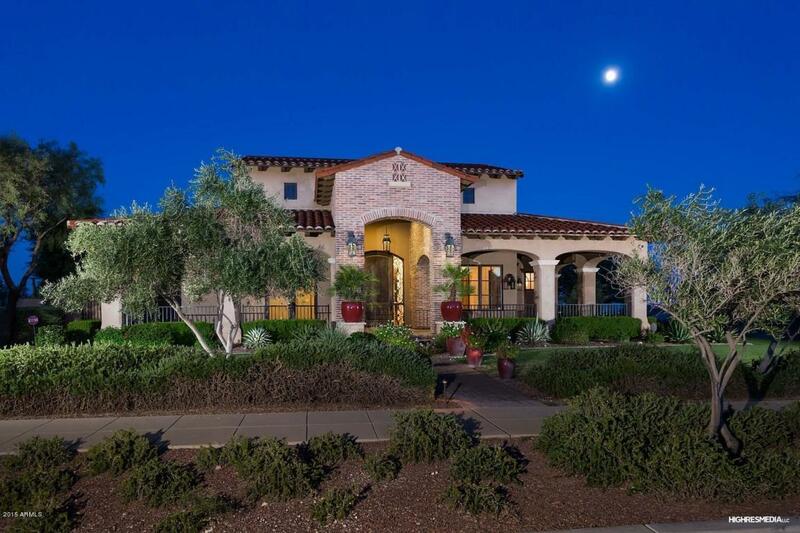 This magnificent Spanish Colonial style estate home features the finest materials and craftsmanship in the marketplace. An open and airy floorplan, this custom home offers class and sophistication with stunning use of natural materials including gorgeous Satillo tile floors, real hardwoods, rustic beams and elegant marble. The heart of the home is the Gourmet Kitchen which is fully equipped with high-end professional appliances including a 48'' Wolf range with double ovens and 6-burners, Sub-Zero refrigerator and freezer, built-in ice-maker and two Asko dishwashers on either side of the farmhouse sink which is all anchored by a beautiful Butcher Block center island. This is truly a kitchen built for entertaining, cooking and living the good life.